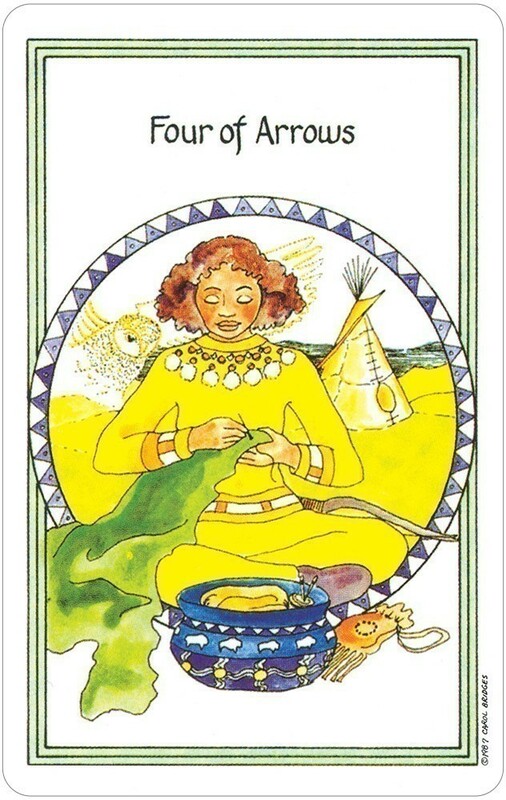 "The Medicine Woman Tarot honors Mother Earth and respects all beings, embodied and in spirit. It guides through the seasons and the powers, which they provide to all who live in earth’s embrace. Seventy-eight positive images depict the feminine strength in both men and women." At an early age Carol developed a rich inner world and creative life. She studied psychology, women's issues, and art at the University of Iowa. She discovered her spiritual lineage to be grounded in the native harmony of the land. Carol now teaches ceremonial classes and workshops through the Church of the earth in Southern Indiana. She is sacred teacher at Sun bear's Medicine Wheel Gatherings. She is the author of many articles and books on spirituality. 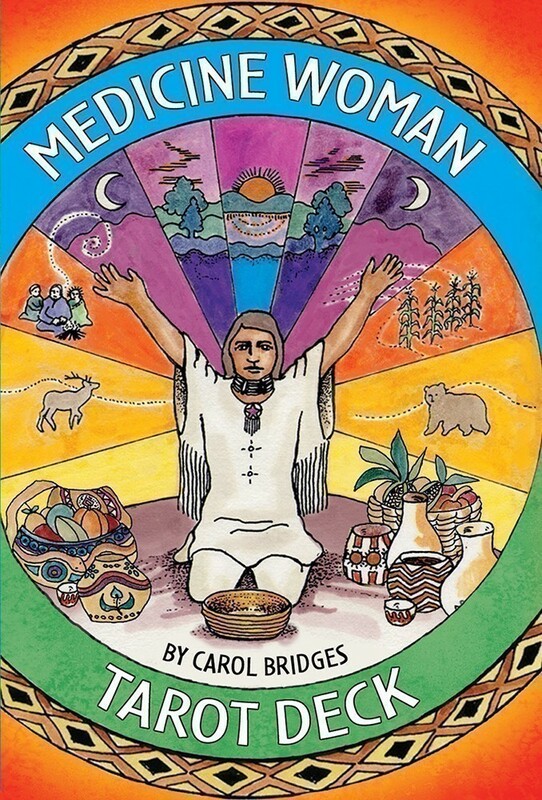 She is also the author of The Medicine Woman Inner Guidebook. 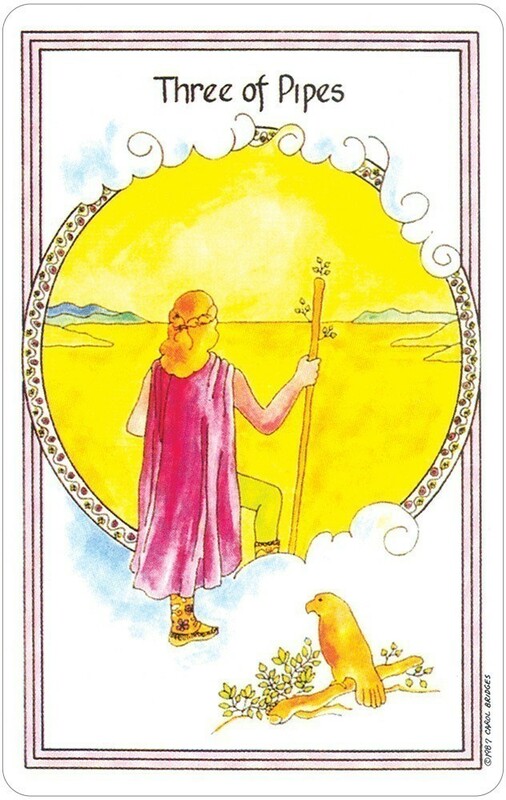 These cards read like a dream, the energy just flows through them and the readings that I have given from using these cards are extremely detailed and spiritual. I find the beauty of the art as well as the colors used allows my intuition to float to a higher level than I reach with many other decks. Animal spirits are lightly drawn in the background and become almost real during the reading. The gentleness of the lines in the artwork is wonderful to look at when reading with these cards. 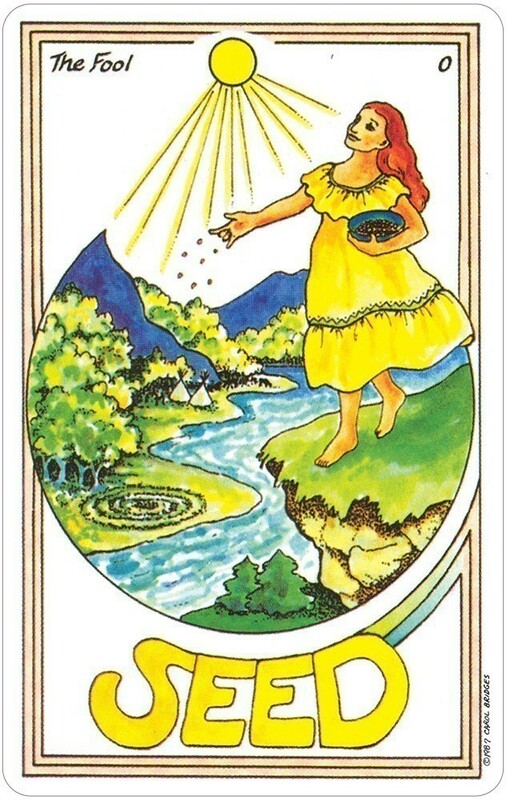 I love the way that Carol Bridges adds the "usual" names of the Major Arcana on the side of the cards since she has changed the names of the majors, it makes it much easier to understand the majors and see her parallels between the traditional meanings and that of the great spirit, mother creator. 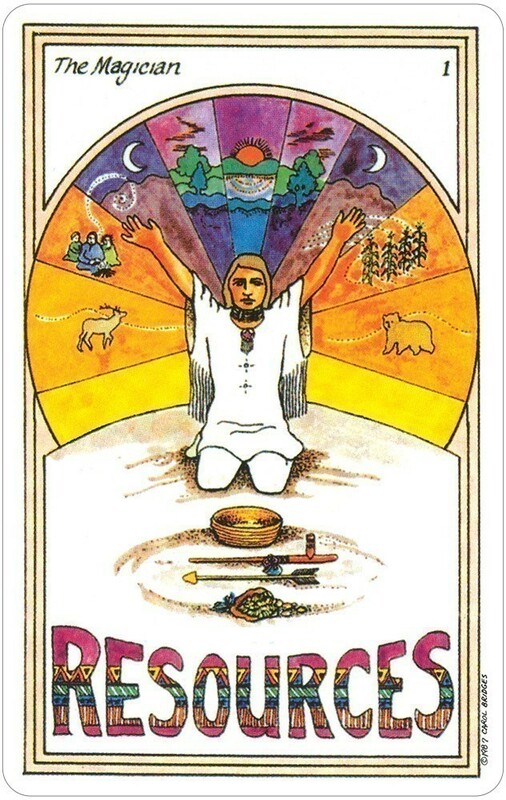 These cards speak of Indian beliefs, caring for the earth and each other. Using our intuition to see the paths before us, and the nurturing ways of the mother. 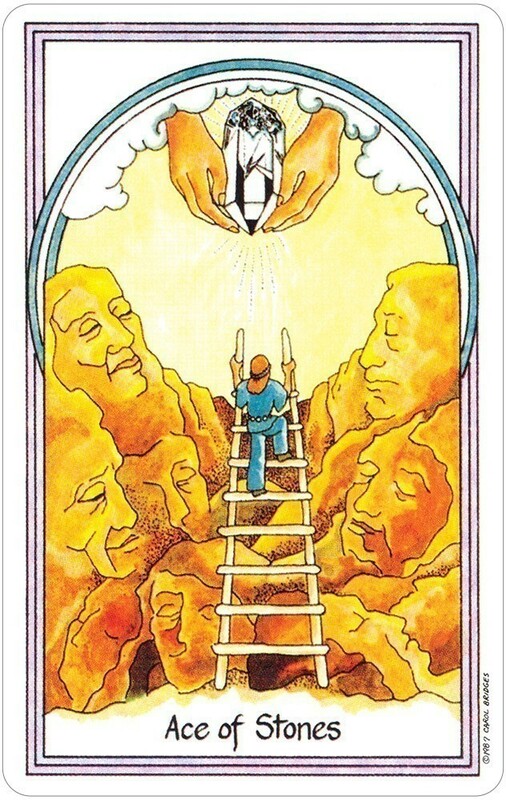 I love using these cards and my clients love to look at them as I am reading for them. The images are not scary or negative looking so I find that my clients are more relaxed during their readings. For example, the "devil" card in the traditional tarot is the "trickster" in this deck. The suits are stones/pentacles, pipes/wands, arrows/swords. And bowls/cups. Every card in this deck has a circle on it, in my opinion, representing the circle of life. 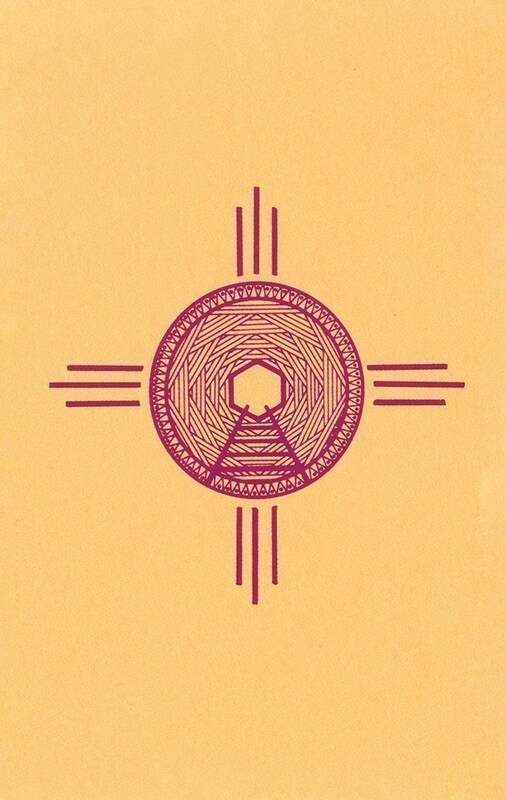 I recommend this deck to anyone that is interested in the beliefs and ways of the Native American Indians and enjoys a -- simple, yet detailed deck. 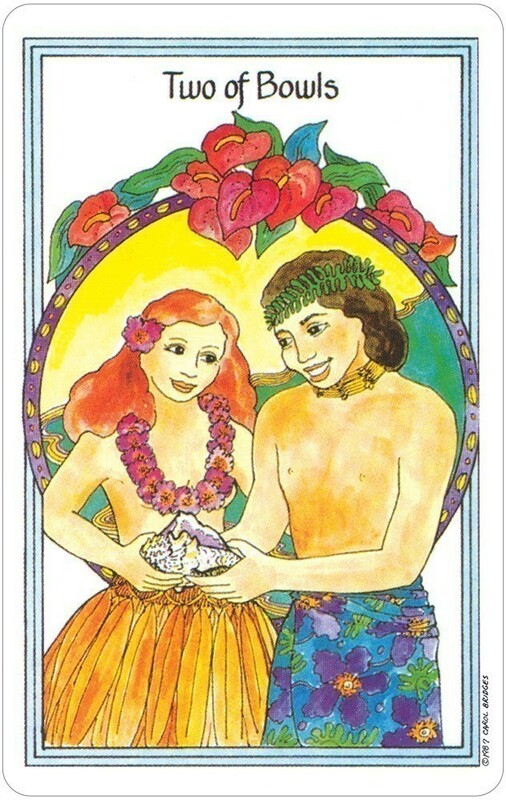 To give a brief background to this deck before I got into details however, I shall say that its purpose, other than to be a deck for people to read with, is to help people, both men and women, regain the feminine healing energy that many people in the West are brought up to neglect nowadays. The creator takes pains to reassure that this deck is not specifically aimed at women only, despite its name, which came about due to the idea of the feminine healing energies that we are trying to reclaim. It becomes apparent after sifting through this deck a couple of times that the images a figures within them are primarily female, and indeed three of the four suits have women as their 'main characters'. However, this should not be misinterpreted as feminist overtones: As mentioned above, this deck is aimed at both men and women, and includes both men and women in its purpose. The images also show tribal settings, but this is not based around a specific tribal culture: Something that surprised me when I received the deck, as I was expecting it to focus on the Native American culture. This deck has focused largely on what the creator calls "tribes of the future", where humanity has blended what can be learned from the past cultures. It shows some tribal scenes which are quite modern: the people in it are wearing modern clothes for instance, and some which are not modern, where perhaps the character is a Shaman, kneeling in his circle with his tools in front of him. It is certainly a refreshing and interesting blend, and one that distinguishes this deck from most others of the same theme. Overall, this deck is easy to use once it has been explored, and has artwork which I personally find very open, honest, and attractive. The new titles for the Majors offers the reader of this deck a whole new way of looking at the cards, and the stories played out within the Minors are a beautiful way to craft their meanings. A beautiful deck, and one that I'm sure many will benefit from.